Earlier this month, Tampa Bay Group Sierra Club shared their love for enjoying, exploring and protecting the outdoors with the next generation of future protectors of the environment. Sierra Club’s Inspiring Connections Outdoors (ICO) program hosted a fun weekend of camping in Lake Wales, FL for 45 first-time campers from Tampa Bay's Academy Prep. Participants learned about wilderness safety from local ICO Captain Rocky Milburn. Sierra members shared their knowledge of the outdoors by teaching this new crop of outdoor enthusiasts how to kayak, canoe, rock-climb and rappel. Nature hikes, plenty of games and even a talent show where the students got to show off their talents were just some of the many activities enjoyed by the great kids from Academy Prep. And of course, what campout would be complete without a campfire and s’mores. Hands-on experience camping out overnight reinforced lessons on how to stay safe in the outdoors. 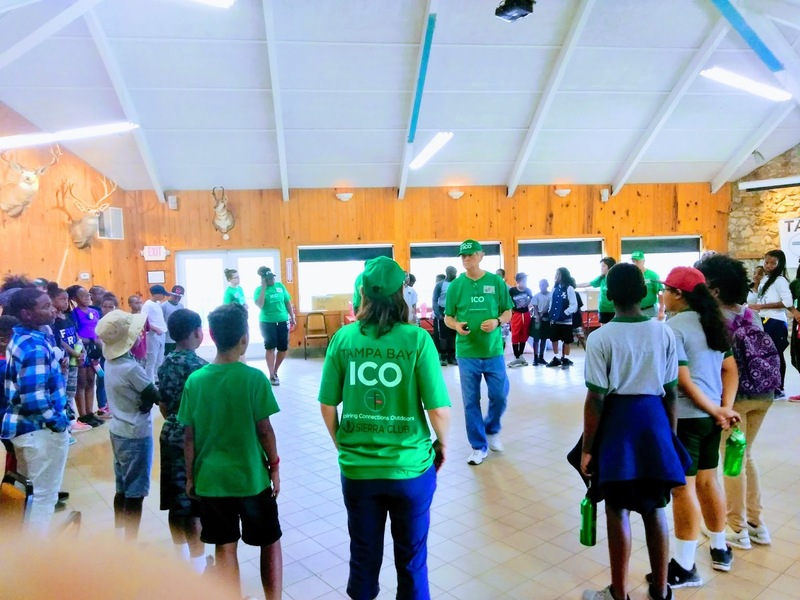 By the end of the trip, our once “green” campers had a new appreciation for our connection to the environment and all the fun to be experienced in nature. The core concept of the ICO program is to show our children another aspect of the world we all share. ICO runs 20-25 trips a year which are fully staffed and organized by dedicated volunteers, including volunteer “certified leaders” who are also certified in basic First Aid and CPR.